This is a really easy to make and easy to remember basic pancake recipe for thick, fluffy American style pancakes. They are egg free and can be made without any oil if desired as long as you use a non-stick pan. I have kept the quantities as whole numbers and used store cupboard dark brown sugar to sweeten. 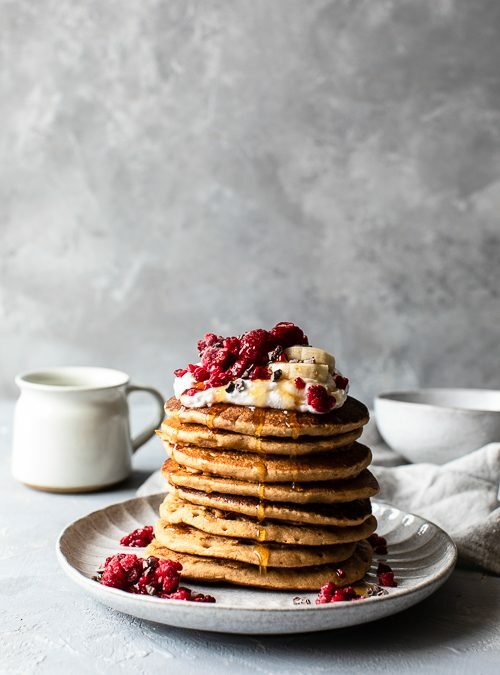 You can get creative by swapping the sugar for a ripe banana, mashed sweet potato or apple sauce for sweetness and add different flavours such as mixed spice or cinnamon. You do not need eggs to bind these pancakes as the flour and milk mixture work just fine. 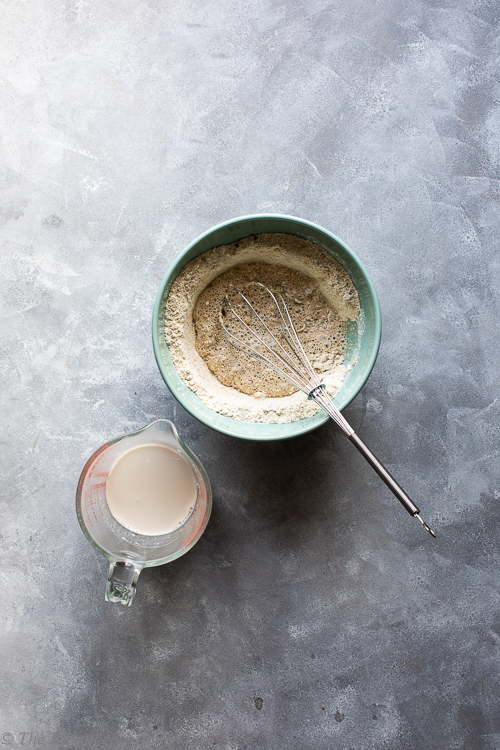 Add the flour, baking powder and sugar to a mixing bowl and use a hand whisk to combine together. Place on a cooling rack and continue until you have used all of the mixture. I made 10 pancakes from this quantity. Begin by assembling all of the ingredients. 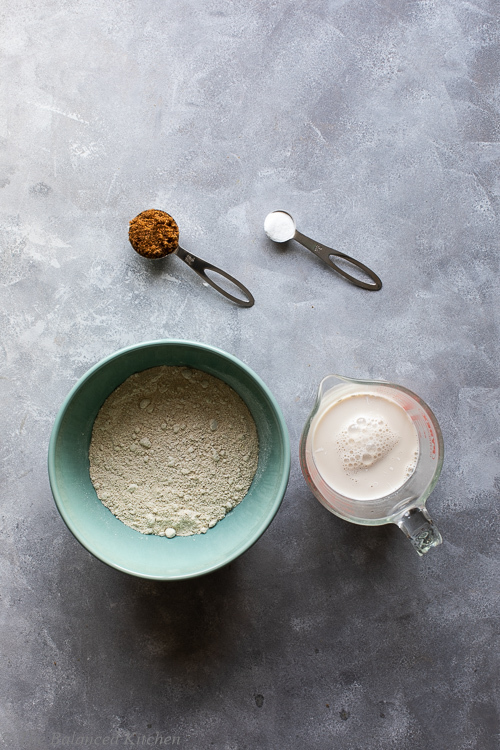 Add the flour, baking powder and sugar to a bowl and mix together. Next, begin to pour in the milk while you whisk the flour mixture until all of the milk is incorporated and you have a thick, smooth batter. If you are using oil, add a 1/4 tsp to a frying pan and heat. Add 2 tbsp of the batter per pancake and cook on a medium heat for 1-2mins untilbubbles form and the top of the pancake starts to become more solid. Flip the pancake over and cook on the other sie for about 30 seconds. Leave the cooked pancakes to rest on a cooling rack while you cook the rest of the mixture. You should get 10 pancakes from this mixture. Serve while warm with frozen raspberries, coconut yoghurt, pure Maple syrup, chocolate sauce and cacao nibs.